•The key words here are “With God”. Are you With God? With God means two things. 1. You are saved, (born again) and you have a relationship With God. 2. We are workers together With God, (2Corinthians 6:1). •Without God we go through many hard, difficult and some impossible things, and still many reject God. •But With God all things are possible. 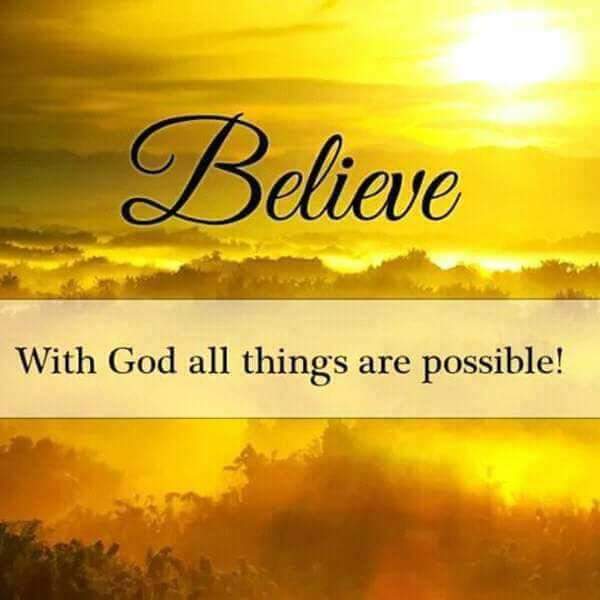 Yes With God it’s possible to be healed, delivered, set free, prosper, overcome all trials, tests and tribulations. •Remember God knows best. Do everything God’s way and trust in Him. He will bring it to pass. •God’s work done God’s way will never lack the supplies of God. But my God shall supply all of your need according to his riches in glory by Christ Jesus.